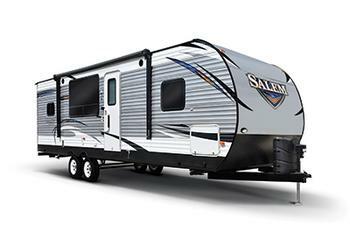 Forest River is recalling 326 model year 2016-2018 Forest River Wildwood, and model year 2016-2019 Forest River Salem recreational trailers. The outside auxiliary shower faucet cover may cover the water heater exhaust panel when opened, increasing the risk of injury. Forest River has notified owners, and dealers will install a replacement outside shower, free of charge. The recall began on July 24, 2018. Owners may contact Forest River customer service at 1-574-534-3167. Forest River's number for this recall is 44-0762.